It is important to understand the different types and terms that are generally seen in child custody hearings. Child Custody or guardianship varies from state to state, and of course every case is different, but it is helpful to understand the different types of child custody and the general scenarios that couples going through a divorce may face. Familiarizing yourself with possible outcomes, or terms you will be hearing will prove beneficial. 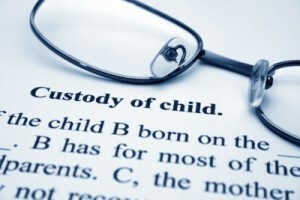 Physical custody, or also known as residential custody, refers to where a child will physically reside. Wherever this child resides the majority of the time that parent will have residential or physical custody. So if the child is with the mother 55% of the time the mother has physical custody of that child. There are dozens of different ways to structure physical or residential custody agreements, but mainly it depends on what works best for the child. That could be splitting the custody evenly, or having one parent take on the majority of physical custody, and the other parent having the child every other weekend. Legal custody denotes decision making for the child. This encapsulates all-important decisions such as medical, or educational conclusions that will play a huge role in your child’s life. Just as physical or residential custody, legal custody has many different ways in which it can be structured. Even if your ex-spouse has sole custody of your child it is important for you to know that you still have the right to consultation. Having the right to consultation means being informed to the major decisions in your child’s life. You have the right to be informed on decisions that your ex-spouse is making in regards to your child’s life. Staying informed is imperative for you if you do not agree with a decision being made regarding your child, because then you have the right to petition that decision. While it is important to acknowledge that every case is different, there are some generalities in custody arrangements that are helpful to look at. Pertaining to physical or residential custody there is often a standard schedule. Courts generally rule that one person has physical or residential custody, and the other parent usually has every other weekend from Friday night or Saturday morning, to Sunday night, and one mid week dinner. That is the minimum amount of access you would have to your child if you were deemed a fit parent. 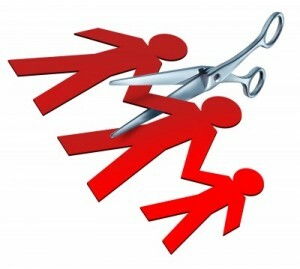 This is only an example of what a typical child custody arrangement looks like. However, obviously there are many elements that can effect your child custody arrangement. One being if you are deemed an unfit parent, then the chances of you receiving time with your child after a divorce is drastically reduced, and may be condensed to supervised visitation, or even revoked completely. Where you live, your job, and the age of your child will all play a big role in your custody arrangement. Where you live may also play a huge role in your custody arrangement. Say you live 50 miles from your ex-spouse then the court will have to take this physical distance into consideration. If the driving distance is determined to be too far, the court may rule that a mid-week dinner, or mid-week overnight, would not be beneficial to the child. Your job may also play a big part in the court deciding your child custody arrangement. Hopefully, you and your ex-spouse work regular business hours, and have the evenings and the nights free. However, this is not always the case. If you are a bartender and have to work nights and weekends, or a truck driver and are working larger portions at a time, then your child custody arrangement will have to be modified to fit your schedule. This may jeopardize the time you get to spend with your child. The age of your child will also play a part in regards to your physical or residential custody arrangement. Again the purpose in a physical or residential custody arrangement is to create the best situation for the child. The child’s wants and needs should always be at the center of any physical or residential arrangement. If your child is very young, they need short, frequent visits from both parents. Young children need constant stimulation and in order to build a solid relationship with their parent they need repetitive interaction in order for that child to familiarize with that parent and build a comfort level. For example, a one-year-old child may not benefit from an all day visit with their father, but rather one-hour visits throughout the week, which would be more beneficial for the needs of such a young child. Now, if the child is a bit older they may need more structure. Many parents think that a 50/50 split is the best arrangement but this can prove to be detrimental to the child. Some children need structure, and the constant traveling from home to home interrupts their need for structure and interrupts the child’s life and can prove to be a huge hindrance. For some children having a home base is an imperative need to have a sense of security and a place to truly call home. Therefore, having one parent have a larger portion of time, enabling a child to have a home base, while the other still remains a frequent influence, may be the best arrangement for an older child. Every child is different and children have their own needs and specifications that need to be addressed individually. These are only situations that should be used as common examples of child custody arrangements.